Many words can describe the wonderful activity of climbing – elegant, powerful, rewarding and sometimes frustrating. There is nothing more natural and intuitive than climbing, but climbing is indeed a complex activity with unique demands on life and plays in every day, horizontal world. Performance in the vertical plane requires physical abilities such as strength, strength, and endurance. It also requires the development of technical skills such as balance and economic movement in grabbing and pedaling in an infinite variety of paths, positions, and angles. Most importantly, the inherent stress of ascending away from the safety of the ground requires strict control over your thoughts, focus, fear, and anxieties. Whether you’re training on a London climbing wall or out on the rock, one way to extend your training session and maintain a good level is to change the climbing style you do frequently. A deviation in this way not only allows a longer and more pleasant climbing time but can also improve the climbing technique. 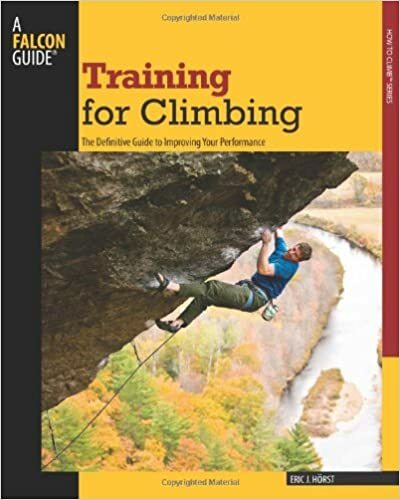 By focusing on a selection of routes, you will concentrate on all the mistakes of the climbing technique you have. For this reason, you will end up being a much more complete boulderer or climber with superior technique. You could switch between flat and overhanging climbs, short and long problems, technical and pumping climbs, etc. The choice of the different types of climbing grips is also important. For example, your fingers will not be worked at all while you are hanging on large juggy-like grips. To improve your climbing technique and performance, you should focus on problems and movements with crimps and slopers. A good climber with good climbing technique as a partner has many advantages. If you just watch them climb up a wall, you can find out a lot: Observe how they do footwork, observe when and where they rest and try to reproduce their technique. Also, ask your buddy to watch you climb and analyze your technique. This is certainly a useful exercise, as you may not appreciate a number of things you are doing wrong, nor where you can develop. I usually prefer a climbing partner who has a better climbing technique than me, he forces me to improve and gives me a higher level of performance. Despite the fact that improving climbing techniques is essential to improving your performance, you will find that you also need to have good strength and grip. There is a choice of techniques to strengthen the grip and fingers. Two products I prefer are the Power Ball, which focuses on the forearm and wrist muscles, thus improving your grip, and the Gripmaster, which focuses on your fingers. When we climb, we fight gravity. The heavier we are, the harder it will be to climb up the wall. It may sound obvious, but losing a little overweight will make a significant difference to your ability. Be aware, if you are already quite fit, it is much more beneficial to focus on improving your climbing techniques than to lose a few pounds more weight. It will take a longer time for your hands and feet to warm up than your arms and legs. Without warming up properly, you risk quickly getting the dreaded pump that no climbing techniques can reverse – your session is effectively over. Instead, relax your muscles by starting with extremely easy routes or problems. You should also rest between routes and use 30-45 minutes to warm up before trying harder routes. This can be annoying, but it works! Leave me a comment below if you enjoyed this article about training for climbing or have any questions! Previous articleHiking vs Trekking – What is the Difference between Hiking and Trekking?